The Google driverless car is a project by Google that involves developing technology for autonomous cars. 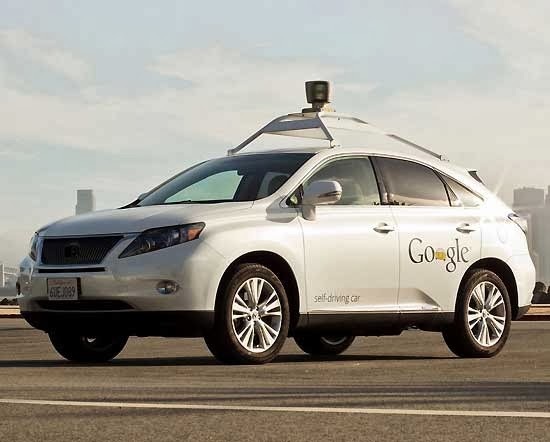 The software powering Google's cars is called Google Chauffeur. Lettering on the side of each car identifies it as a "self-driving car." The project is currently being led by Google engineer Sebastian Thrun, director of the Stanford Artificial Intelligence Laboratory and co-inventor of Google Street View. Thrun's team at Stanford created the robotic vehicle Stanley which won the 2005 DARPA Grand Challenge and its US$2 million prize from the United States Department of Defense.The team developing the system consisted of 15 engineers working for Google, including Chris Urmson, Mike Montemerlo, and Anthony Levandowski who had worked on the DARPA Grand and Urban Challenges. The U.S. state of Nevada passed a law on June 29, 2011 permitting the operation of autonomous cars in Nevada. 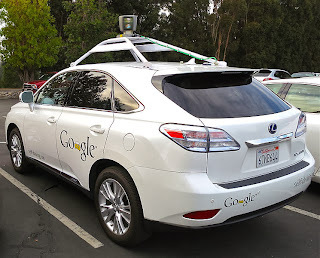 Google had been lobbying for robotic car laws. The Nevada law went into effect on March 1, 2012, and the Nevada Department of Motor Vehicles issued the first license for an autonomous car in May 2012. 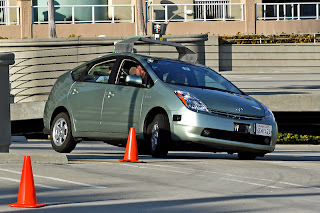 The license was issued to a Toyota Prius modified with Google's experimental driverless technology. 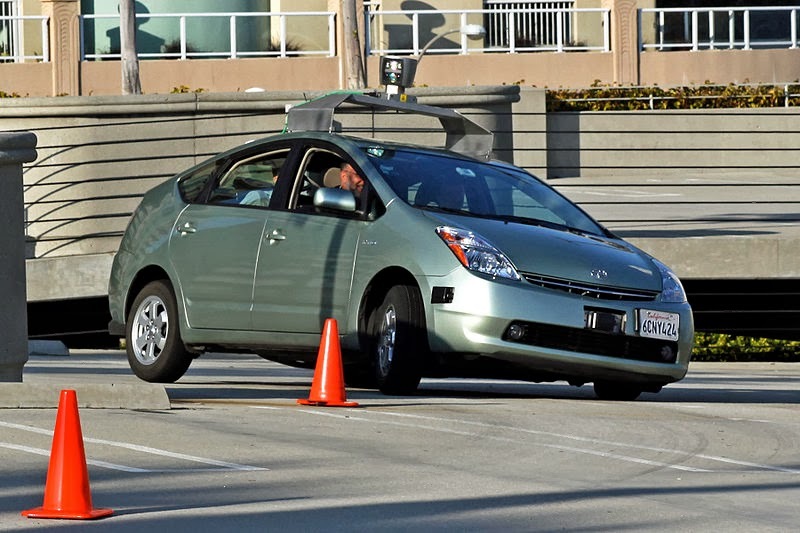 As of April 2012, Florida became the second state to allow the testing of autonomous cars on public roads. California became the third state to legalize the use of self-driven cars for testing purposes as of September 2012 when Governor Jerry Brown signed the bill into law at Google HQ in Mountain View. hris Urmson made those claims today at a robotics conference in Santa Clara, California. He presented results from two studies of data from the hundreds of thousands of miles Google’s vehicles have logged on public roads in California and Nevada. One of those analyses showed that when a human was behind the wheel, Google’s cars accelerated and braked significantly more sharply than they did when piloting themselves. Another showed that the cars’ software was much better at maintaining a safe distance from the vehicle ahead than the human drivers were. In addition to painting a rosy picture of his vehicles’ autonomous capabilities, Urmson showed a new dashboard display that his group has developed to help people understand what an autonomous car is doing and when they might want to take over. “Inside the car we’ve gone out of our way to make the human factors work,” he said. inevitable accidents do occur, the data autonomous cars collect in order to navigate will provide a powerful and accurate picture of exactly who was responsible. Urmson showed data from a Google car that was rear-ended in traffic by another driver. Examining the car’s annotated map of its surroundings clearly showed that the Google vehicle smoothly halted before being struck by the other vehicle.